GMB union members employed by the Doctors organisation the BMA (British Medical Association) were on strike on Wednesday 20th June at eight locations across the UK in a 24 hour strike over pay. This is the first stoppage by BMA staff in the 180 years that the organisation has been in existence as the BMA failed to respond to a GMB request that talks be reopened with an improved pay offer. The strike was solid. Some BMA offices were completely closed. London was a ghost town. 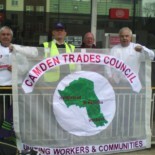 Members were really good on the picket line, giving leaflets out and arguing the case. GMB members voted by a majority of 81.2% to take industrial action over the refusal of the BMA to negotiate an improved pay offer for 2012. Anna Meyer, GMB Organiser, said ‘We are very disappointed that there has been no response to our calls for more talks and for an improved offer. 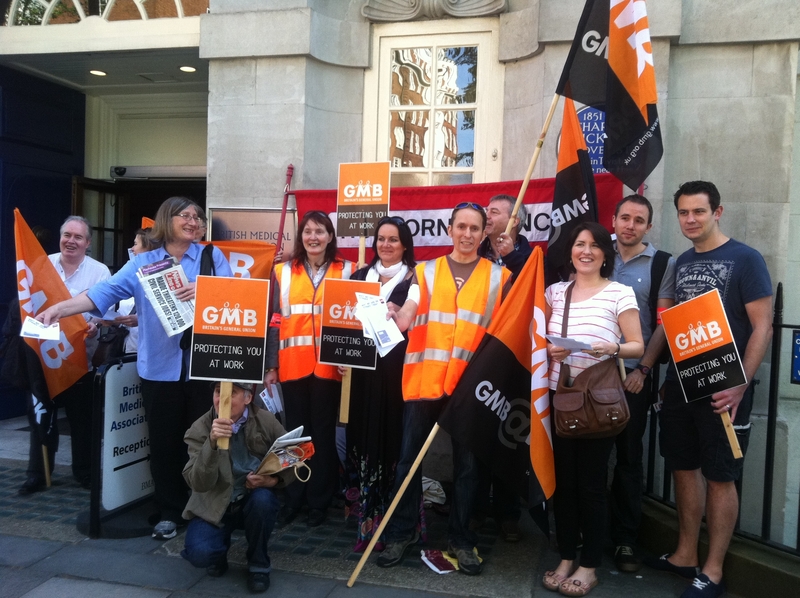 GMB members are striking reluctantly as this is the first strike action at the BMA in 180 years. The offer is well below inflation and the BMA can well afford to make an offer in line with inflation. Further days of action are planned as the dispute continues.